Elections will take place for members of ICAEW Council in 2017. Nominations are open from 31 January until 12 noon on 3 March 2017. 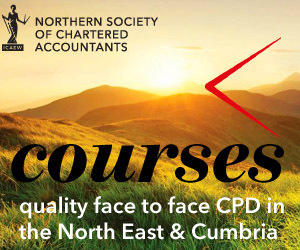 This is a fantastic opportunity to get involved, share your professional experience and ensure ICAEW continues to be a world leader of the accountancy and finance profession for future generations of chartered accountants. 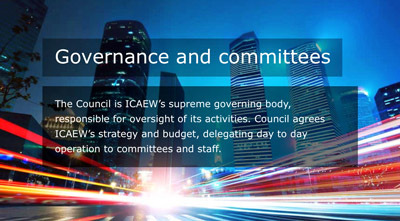 ICAEW members join the Council for a number of different reasons. Being a Council member offers a valuable experience in an environment that might be different from your day-to-day role. You get the opportunity to network with your peers and other professionals; and to have your voice heard in helping to develop the profession. A vacancy arises in the Northern England constuency in 2017 due to retirement by rotation. (The Northern England constituency covers the same area as the Northern Society of Chartered Accountants – North East England, Teesside, northern Yorkshire and Cumbria). ICAEW members with a registered address in the Northern England constituency at 1 January 2017 are eligible to stand for ICAEW Council – please read the summary below and more detailed information is available at icaew.com/councilelections. Deadline for receipt of nominations is 3 March 2017. Members will be invited to vote from 11 April and the deadline for receipt of voting will be 2 May 2017. Successful candidates will take up their post on 6 June 2017 and serve for a 4 year term. Would you like to play a greater part in building our future: in reaching out to all our members, building our international profile, building our influence, building inclusiveness and inspiring the next generation of ICAEW Chartered Accountants, wherever in the world they may be. Approving annually the Operational Plan and Budget and satisfying itself that our Principal Risks are being addressed by the Board, taking into account the recommendations and advice of the Audit Committee. excellent written and oral communication skills (for internal and external engagement), including listening and persuasion. the confidence to participate in constructive discussion and debate in Council to help ICAEW drive our strategic priorities forward. the ability to interact with members to explain and promote the activities of ICAEW and to gather their views to enable you to represent them at Council. the skill and passion to act as an ambassador for ICAEW. You will uphold the values of ICAEW. Knowledge and experience of business management and/or the accountancy profession encompassing strategy development, objective setting, monitoring and control. Knowledge of the requirements placed externally on ICAEW and internally through the Charter and bye-laws and Council’s role in meeting those requirements. Understanding of the business landscape ICAEW operates in and also of the needs of a commercial, not-for-profit, business-orientated environment. An understanding of how government policy is influenced, formulated and implemented at national and international levels. You will receive induction and training in your new role as a Council member. ICAEW provides formal and informal support and advice as and when required to ensure you get the best out of your time on Council and if you are asked to attend ICAEW or external events, you will be fully briefed. Council members normally serve a four-year term. Being a Council member requires a reasonable time commitment. There are four Council meetings per year, normally held at ICAEW’s London premises in early June, September/October, December and March. Meetings usually start at 10:00 and last until about 16:00. The June meeting follows on from the annual and special meetings on the first Tuesday of the month. There is also a residential conference, normally over two days at the beginning of July. You will also need to allow time to prepare for each meeting. from across the profession. If you intend to stand for election to ICAEW Council, you can find further information and complete your candidate application online at icaew.com/councilelections. The deadline for nominations is 12:00 GMT on 3 March 2017. You must also have a registered with an address in the constituency you are standing in, by 1st January 2017. How to put yourself forward as a candidate? You will need five nominators from your constituency.